What do you get when you take a private bay, a luscious spa and a superb ocean front hotel on a tropical island? Hotel Christopher! The rooms are recently refurbished and are of a high luxury standard. The 2 roomtypes and 6 suites are available in various categories. All accommodation comes with bathrobes and slippers, a hairdryer, a magnifying mirror, Egyptian cotton sheets, custom bath products by L'Occitane en Provence, twice daily housekeeping service including turn key service at night, a complimentary welcome minibar, a satellite TV, 40 inch flat screen with DVD player, a hi-fi & iPod docking system and free Wi-Fi. The location is truly what we call unique as the private bay is filled with crystal clear azure coloured water and the sandy beach is one like you have seen on postcards or adverts. It's like a tropical dream comes to life here. There are two restaurants you can choose from that are both under supervision of the French trained and Michelin awarded Chef Jean-Baptiste Piard. With his culinary experience he's capable of presenting you exquisite delicate dishes but also classics prepared to perfection. He will bring new impressive culinary ideas with Polynesian, Asian and Caribbean influences. Restaurant Taino is the hotel's main restaurant that will take you on a culinary journey. Restaurant Mango is the more easy going place and serves a perfect lunch and a beach side sinner with an extended menu of mouthwatering classics like various burgers, pasta's and salads but also the perfect setting for afternoon snacks to accompany delicious cocktails. The Spa offers a wide variety of Phyto-Aromatiques Treatments and uses Sisley Spa products. the hotel also offers a well equipped gym to keep you into shape. The hotel offers a concierge service that can almost arrange anything you can possibly think of. Book your restaurants, water sports, day boat, Spa treatment, baby sitting service or yoga class here. Wedding planning and proposal preparation is also available as the hotel is the perfect place for a memorable wedding. 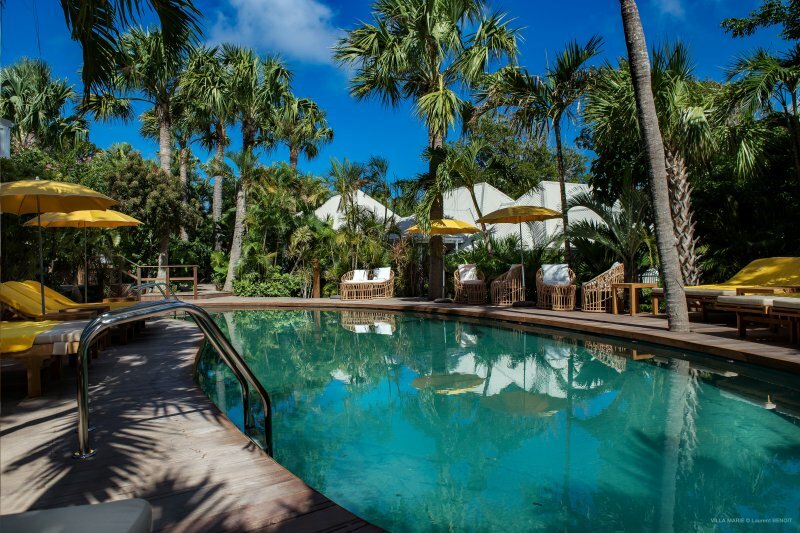 The Island of Saint Barts is actually a small rock of luxury surrounded by the best beaches in the world. Saint Barts has several beaches with and each one has its own characteristics. Not all are suitable for swimming as strong currents can be tricky, but instead they are a surfers' hotspot. There's a beach for every type of vacation. 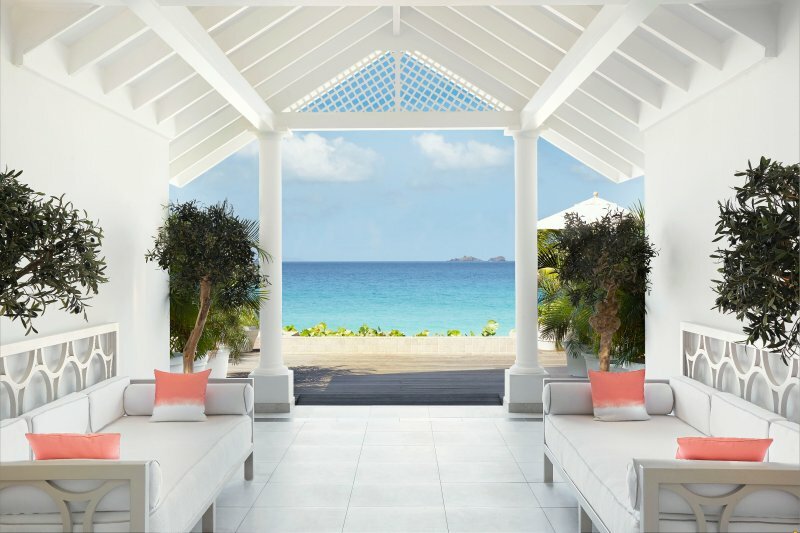 Privacy seekers with eye for design and a lust or pampering should look no further because Cheval Blanc Saint Barth is the embodiment of the ultimate beach hotel. If you are looking for paradise, stop looking, you've found it. Villa Marie overlooks one of the most breathtaking tropical bays in the world called Flamands Bay and the hotel is carefully tucked away in the hills above Colombier. An awesome mixture of the perfect location, ultimate luxury and pure pampering all in one. 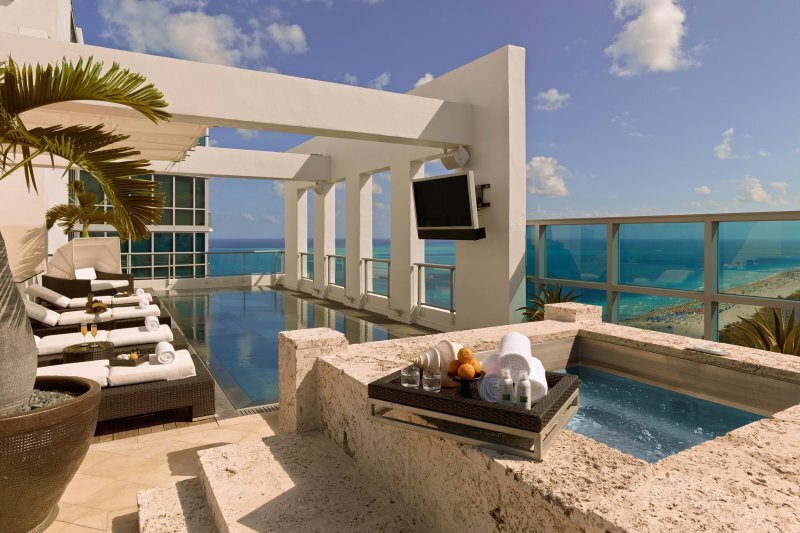 Think of private pools, superb food and stunning ocean views.